Over the centuries, many people have reported being helped by angels in human form. These temporarily incarnated angels sometimes appear as humans who perform superhuman feats such as lifting cars out of snow and saving drowning people, appearing just long enough to help and then disappearing without trace. Has an unusual appearance such as intensely coloured eyes or a manner of dress that doesn't fit the surrounding. Appears and disappears suddenly and without any visible form of transporation. Helps in a miraculous way, or says just the right thing to reassure you. Can't be located, or there's no record of the person, if you try to contact him or her afterwards. Have you ever felt that you've been helped by an angel in human form? Leave your thoughts in the comment box. I do believe I met my angel back in 1993. I was rushed into the hospital at 32wks pregnant and had an emergency cesaerian because I was Eclamptic. For the following 4 days after surgery I was in intensive care fighting for my life ( of course they didn't tell me that at the time). I woke up one night in the middle of the night and my nurse was sitting in a chair in my room in the dark. After I was released from the hospital, I continued to go there to see my baby ( also in intensive care) for another 3 weeks. I went back to the unit where I stayed multiple times looking for this nurse to thank her for all that she did and for going above and beyond the call of duty so to speak. And each and every time I did, the nurses in that unit had no idea who I was talking about? They were adamant there was no nurse fitting that description working now or ever on that unit. I now can only believe she was my angel watching over me when I needed her the most. What a lovely story. Thanks for sharing, Linda. Several years ago, I was walking through an empty parking garage (downtown in a major U.S. city) very early in the morning, as my job started early, before anyone else was there. I kept thinking I heard footsteps other than mine, but every time I stopped walking, the steps stopped,too….so I just told myself I was hearing my own steps echoing as I hurried along. As I reached the sidewalk, I looked both ways to cross the deserted street and was suddenly facing a man who said to me very matter-of-factly "You need to be careful, there's someone following you." He had on slacks, a light-colored trench coat, a hat, briefcase and round glasses. I looked back toward the parking garage and a man had just stepped out from behind a pillar where he'd apparently been hiding. I gasped and turned back to the man who warned me and he was GONE! The stranger following me started running toward me so I started running and screaming for help. There was NO ONE around except me and the man chasing me. I ran down the ramp leading to the underground dock area of the building into security camera view and looked up. My persuer was leaning over the railing looking down at me. The dock supervisor scrambled security, but none of the officers reported seeing the man who chased me or the man who warned me. The only evidence of what happened was some grainy security footage of the man looking down at me as I ran down the ramp. 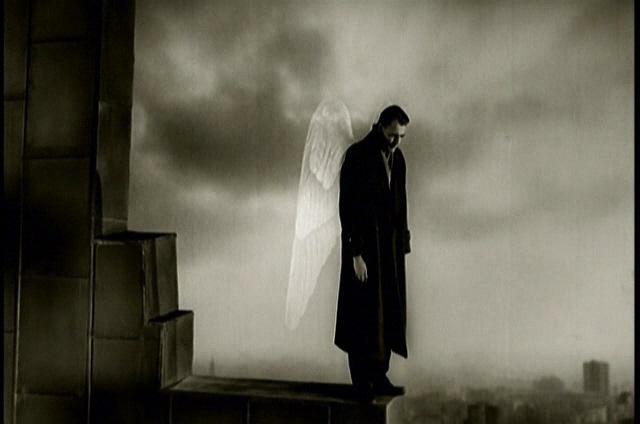 I am convinced the man who suddenly appeared in my path and so convincingly warned me of the danger I was in was an angel. I believe he looked like he did so I would not be alarmed by him AND listen to his warning. If he hadn't warned me, the man following me would've had ample time to catch up to me and I shudder to think what might've happened.